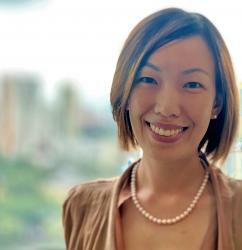 SINGAPORE, 21 March 2019 — Chubb today announced the appointment of Serene Neo as Division Head of Accident & Health (A&H) for Singapore, effective 25 March 2019. She will report to Scott Simpson, Chubb’s Country President for Singapore. In this role, Ms. Neo will have responsibility for leading Chubb’s A&H Division; providing strategic oversight on all aspects of business development and financial performance, in addition to spearheading new partnerships and digital initiatives. Ms. Neo joins Chubb with over 15 years of experience in banking and financial services. Prior to joining Chubb, she was the Senior Vice President & Head of Brand Strategy & Insights, Group Brand, at a local bank. Chubb is the world’s largest publicly traded property and casualty insurer. Chubb Insurance Singapore Limited, via acquisitions by its predecessor companies, has been present in Singapore since 1948. Chubb in Singapore provides underwriting and risk management expertise for all major classes of general insurance, including Property & Casualty, Marine, Liability, Financial Lines and Group Personal Accident insurance. As one of the leading providers of Accident & Health insurance through direct marketing, the company partners with financial institutions and other companies to tailor individual policies for their clients and employees. In addition, it offers a suite of customised Personal & Specialty insurance solutions to meet the needs of consumers. Over the years, Chubb in Singapore has established strong client relationships by offering responsive service, developing innovative products and providing market leadership built on financial strength.